About the author: Santiago Barcelona y de los Reyes (May 23, 1863 — March 25, 1937). His great-grandson Gene Barcelona in a blog entry, reproduced the biographical information from which the following was gleaned: Born in Pulilan, Bulacan; attended the Colegio de San Juan de Letran (Bachelor of Arts); studied medicine at the University of Santo Tomas. In 1889, enrolled at the Universidad de Barcelona, earning his licentiate in medicine two years later. 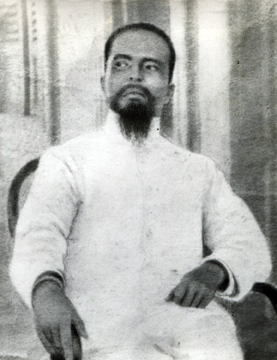 In 1894, returned to Manila, opening a clinic in Tondo, but in 1896, was arrested. After being released, he moved to Singapore for six months. Returned to Manila after the city was taken over by the Americans in August ,1898. Represented Butuan as the appointed delegate to the Malolos Congress. Accompanied General Aguinaldo until his capture in March, 1901. In 1916 unsuccessfully ran as a candidate of the Nacionalista Party. Two sons. Jose S. Barcelona, who became a director of the Philippine General Hospital, and Jaime S. Barcelona. (3) From Tarlac, which contains entries dated from November 2, 1899 to July, 1900. (This manuscript was translated into English from Mi Album, a diary of the author furnished by his son, Dr. José Barcelona, present Director of the Philippine General Hospital). Manuscript carries year of 1900.